The Dole Animators are a group of Leeds-based individuals with experience of the benefits system. In 2013 they worked with Liverpool University researcher, Dr Ruth Patrick, to make a film about the impact of welfare reform on their lives. 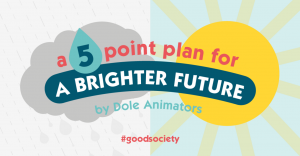 To follow up on this, over the last 18 months the Dole Animators have been working on a new project exploring solutions to the problems of poverty and insecurity that so many in Britain face. 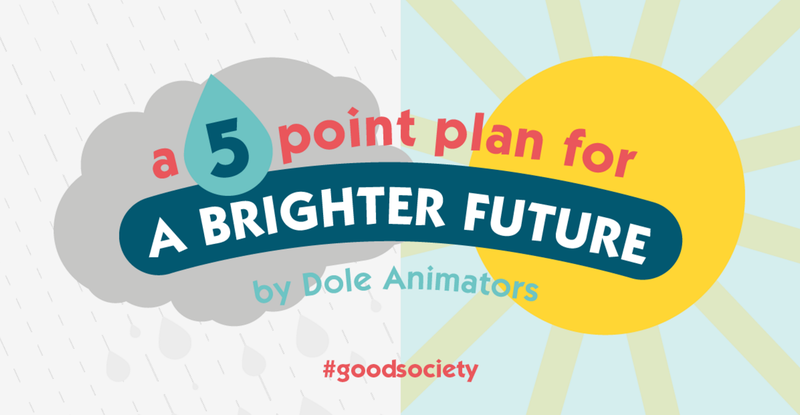 Together with Ruth and graphic designer, Dan Farley, the Dole Animators developed visual illustrations of the solutions they feel could make a real difference. “In Britain today, poverty is growing and sadly affecting children and young people who are the leaders of tomorrow. Poverty is destroying young lives. The rise in poverty is a black mark against our political leaders who have the power to reduce poverty levels within the UK. Something needs to change. As a group, we came up with five solutions that we believe would make a real difference in reducing poverty in the UK. These include action to make the benefits system more empathetic and effective, improving the availability of childcare, decent housing and creating a right to decent work (and not just any work). These solutions have come from people who have experienced and often are still experiencing the (so often negative) effects that welfare reform can have. The solutions we came up with are what can be achieved if we all pull together and actively want to make change work. A start would be for policy ‘experts’ to really engage with those at grassroots level who have direct experiences of poverty. Looking forward, we hope that our solutions are taken into consideration. It would be good if those in power would make a pledge to start working on creating change – none of the solutions we envisage are rocket science. They just need some different thinking and a willingness to want to affect change.